← From the Oddball Files – Australia’s LifeSavers Musk flavor. Czechlets is another sticker parody you probably wouldn’t find done today. I wouldn’t really consider this racially insensitive, but the fact that it invokes the people of Czechoslovakia is close enough that it would be avoided. What would be the offense, that Czech people are “tiny”? Needless to say, it’s safe to say it wouldn’t be done today. 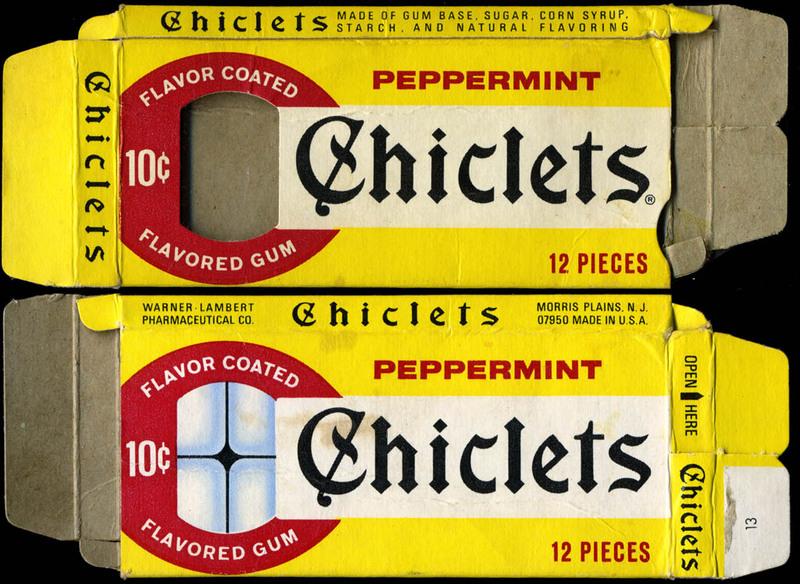 The original product basis for Czechlets should be pretty obvious, as it’s a product that is still around and still packaged in much the same way: Chiclets. Here’s a close-up of the original sticker art, as well as an early 70’s Chiclets box that matches up pretty closely. 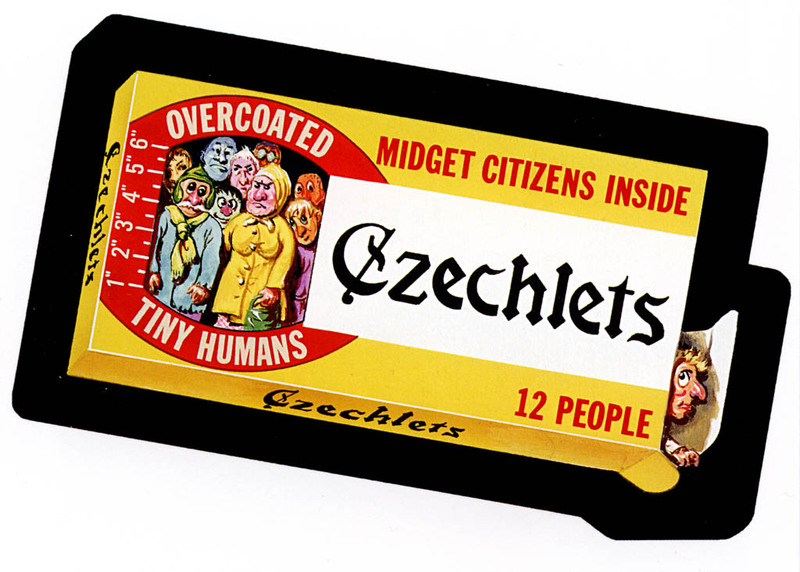 Czechlets is a nice little piece of artistic work, painted by Norm Saunders, the master artist of the original Wacky Packages series. That’s everything for today’s edition. 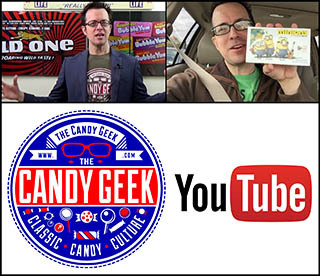 Tomorrow I’ll be back with a short feature that celebrates the warm weather about to engulf us, and how candy ties into that wonderfully. 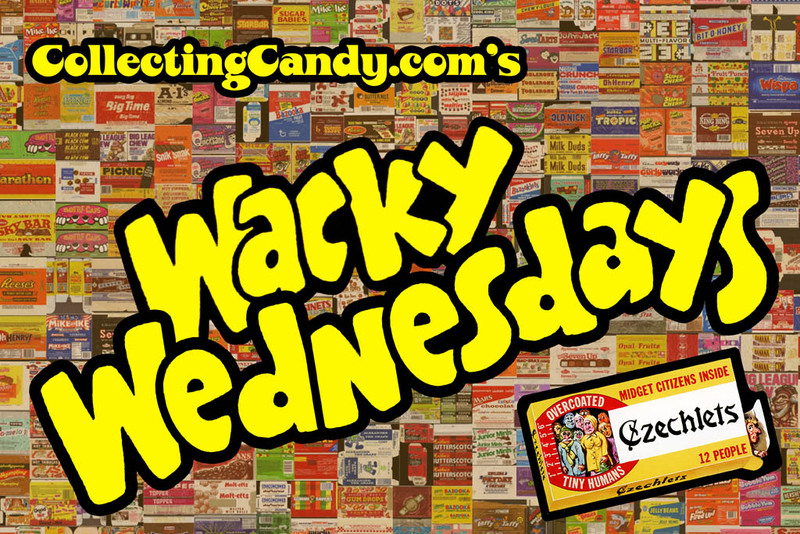 This entry was posted in 1970's, Gum, Topps, Wacky Packages and tagged 1970's, 70's, Adams, Chiclets, collecting, collection, confection, confectionery, design, gum, packaging, painting, parody, sweets, Topps, Wackies, Wacky Packages, Wacky Packs, Wackys. Bookmark the permalink.